Considering getting a French Spaniel? Originating in France, the French spaniel is one of the oldest and tallest spaniel breeds. It has been known as a highly capable hunting dog with admirable speed and a gentle retrieving mouth. Friendly, good with children, energetic, and outgoing, the Epagneul Francais makes a wonderful family pet and reliable companion for the active dog owner. The earliest recorded mention of the French spaniel was in the fourteenth century courtesy of Gaston II of Foix-Bearn in The Master of Game. However, this breed has been thought to have emerged around the eleventh century during the Crusades. This bird dog was valued for its retrieving and setting abilities. It later became popular amongst the French and Russian nobility as it also proved to be an affable companion. Later, the French spaniel branched out into a variety of types. It then underwent a process of selection and refinement and later became a well-established breed. 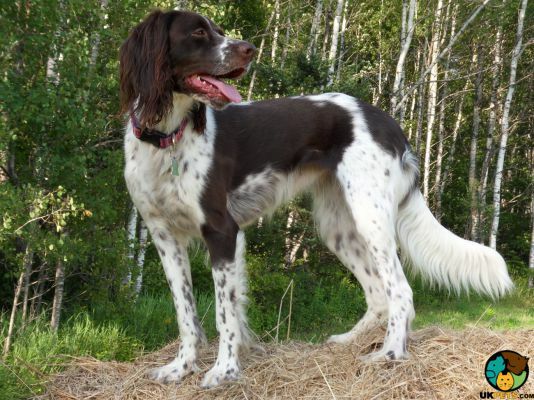 Then, in the mid-1800s, it became a parent breed for the Brittany spaniel. In the late 1800s, James de Connick set up the first breed standard for this dog. 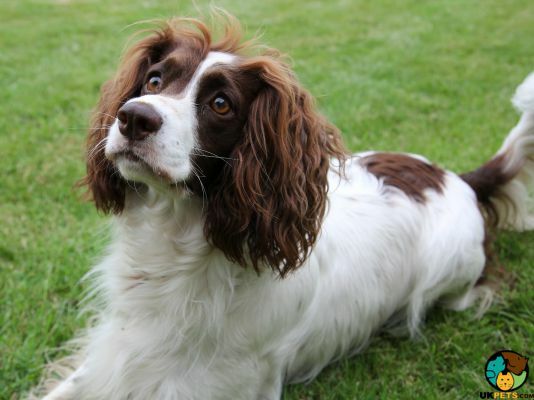 Despite being a parent breed to other spaniels, the French spaniel’s popularity waned at the start of the twentieth century. The advent of foreign gun dogs was one major culprit. The breed’s numbers fell so low, it nearly became extinct. What kept it from dying out were the efforts of Father Fournier, a French priest. He took in the remaining canines in his kennels and developed them further. The contemporary versions of the breed are of the lineages under Father Fournier’s care. The French spaniel later began to be known in other countries after it was introduced in the 1970s in Canada. Today, it is acknowledged by the American Kennel Club and the Fédération Cynologique Internationale. However, it is not yet recognised by The Kennel Club. 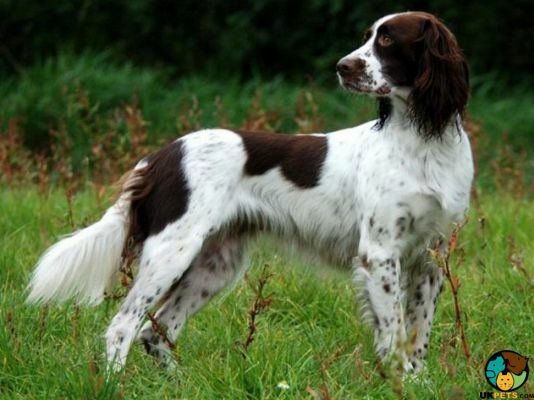 As such, and also due to its late introduction to foreign shores, there are very few French spaniels in the UK. 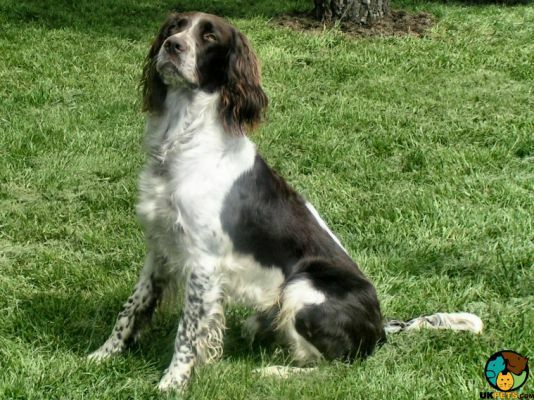 Taller in stature than the English springer spaniel, the French spaniel stands at an average range of 56–61 cm. Its weight ranges from 20 to 27 kg. 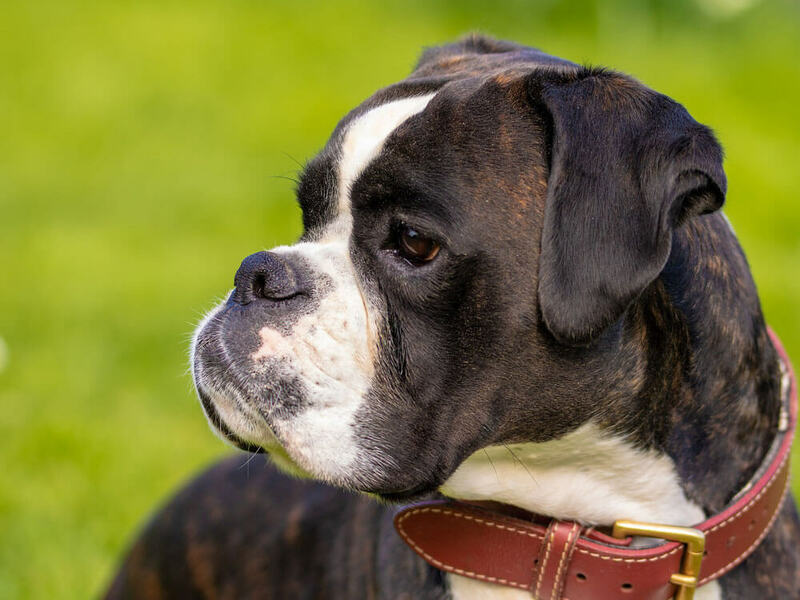 With a medium-sized, muscular body, this dog breed has a squarish skull and a muzzle that is a bit shorter than its skull. It has an expressive set of oval-shaped eyes, the colour of which can range from cinnamon to dark brown. Its ears flop down the sides of its head and have some feathering. Its neck is arched and strong, and so is its straight back. Its chest is deep and its abdomen tucked. The loins are muscular and its tail has long feathers along it, including the back legs. Its legs are lean and of moderate bone density. Its toes are arched. 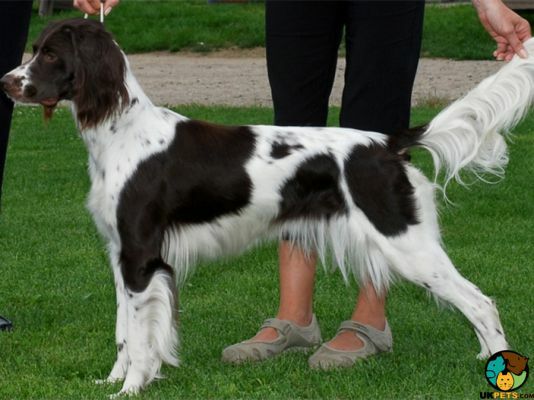 The French spaniel’s silky coat is dense and of medium length. It is shorter and finer around its face and longer on the ears, back of its legs, and tail. The coat is usually a white-and-brown combination, although the shade can also range from light cinnamon to black. This pointing canine’s coat should be brushed at least twice weekly to keep it in good condition. The feathering on the ears, tail, and legs may need to be trimmed every quarter to remove tangles. Docile and calm, the French spaniel is known to be gentle with children. Outgoing and very sociable, it gets along with other dogs and people. Its friendliness is such that this canine is usually not given guard dog roles. As a pet that is eager to please, this dog is not naturally aggressive and is easy to train. This is thanks to its intelligence. However, as it is sensitive, it should be trained using positive reinforcement. It may tend to bond deeply with a single family member, which should be the one training it, but it can interact with other members. It requires a spacious home to allow it to stretch its active muscles. As such, this dog is not ideal for apartment living. It should be mentally and physically challenged enough to keep it balanced and happy. Activities that harness its pointing and retrieving capabilities are recommended. Follow a set feeding schedule consistently and provide the same food your French spaniel is used to in order to avoid stomach problems. However, if you need to shift to another type of high-quality food, do so gradually. This helps your pet to adjust accordingly without complications. Puppies must be fed 3–4 times a day, whilst adult ones can be fed twice a day. Adult French spaniels can be fed 2 ¼–3 ¼ cups of food daily, depending on its activity level, size, and age. As an energetic dog, this canine should be exercised for at least 60 minutes every day. Retrieving and chasing activities make the French spaniel very happy and sufficiently worn out. 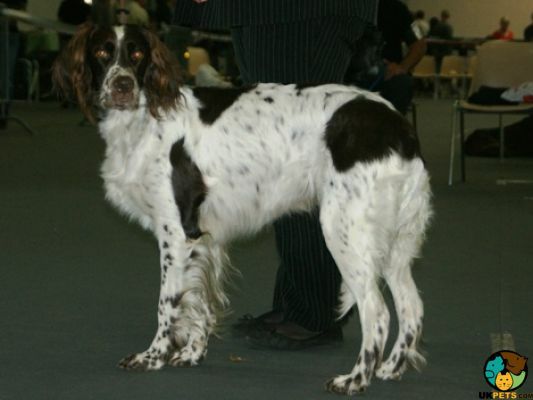 The French spaniel price depends on its breeding lineage and breeder. 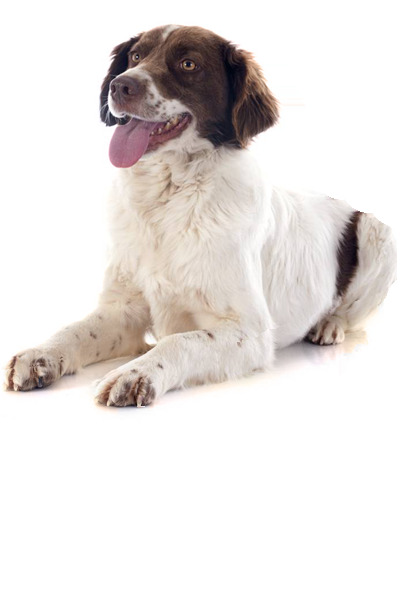 The average rate for a well–bred French spaniel puppy is between £455 and £600. On average, a pet owner will spend about £27–£35 per month. The insurance costs can also affect these cost estimates. For its lifetime (10–12 years), the costs can range from £3,240 to £5,040 overall. This estimate does not include the expenditures incurred in buying a puppy yet. Is a French Spaniel Right for You? This canine is gentle with kids and very friendly, thus a great addition to families. It tends to develop strong bonds with one family member and is prone to separation anxiety. Its high energy levels make it an ideal dog for active owners with sizeable homes/acreage. The French spaniel’s coat is, overall, and easy to groom.